Dark Remembrances takes the reader into the past, where buried secrets, and undying love cause a grim life sentence. It brings an innocent woman into contact with a handsome stranger in the future. He will change her life forever with his diabolic plan. She soon realizes there is no escape. Twisted desires will send her down a rabbithole of a far darker agony. And there she would pay the highest price. M.L. GILLESPIE is a California artist and writer who lives in the foothills, near Yosemite National Park. She attended Stanislaus State University, and then went to CCAC in Oakland. 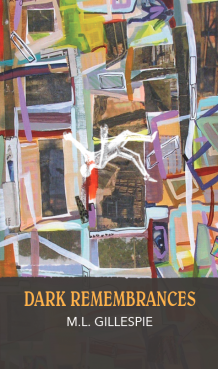 Dark Remembrances is her first book.